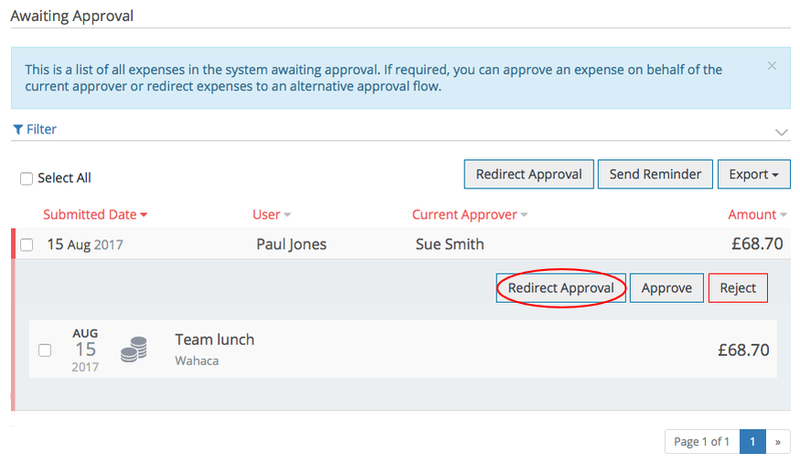 You can redirect expenses to an alternate approval flow within the Finance area. Redirecting approving is handy if you know that an approver may be on holiday or unable to approve the expenses. In the Finance area, by default, you will already be on the Overview page. Click the Awaiting Approval tab. 2. 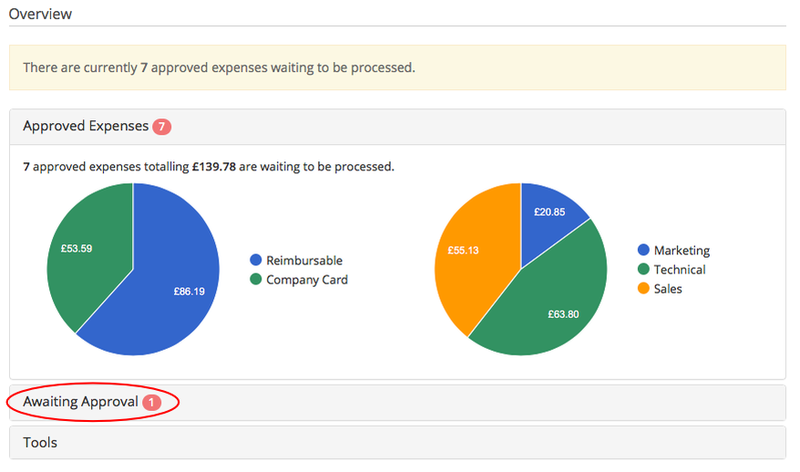 You can click on the expense to expand the information. 3. Select the expense(s) and click Redirect Approval. 4. 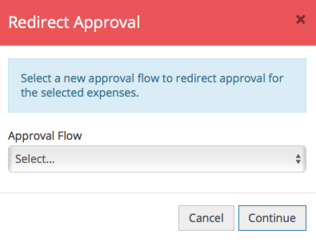 Choose the approval flow you wish to redirect the expenses to from the dropdown. 5. Click Continue to redirect the approval. If you are a finance user but are also in an approval flow, you can redirect approval from within the Approval area of your account.